Hello and welcome back to the Hot List, we hope you enjoyed our preview of the essential music in 2013. 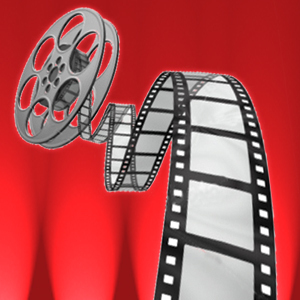 This week we will turn our attention to the cinema, previewing for you our loyal readers the most exciting movies set to hit the screens in 2013. Last year's cinema was big on Hollywood establishment and so-called "prestige" pictures, if short on surprises and new faces. The year ahead however contains a healthy mix of returning heavyweights and potential breakthroughs for the up and coming. In fact the year looks so promising that we had to expand our list to 15 films. It simply could not be whittled down to fewer. As always our annual film preview begins after the Oscar deadline, so just because a film was released in 2013 does not mean it is in contention for this list. F. Scott Fitzgerald's classic novel is being brought to the big screen, this time courtesy of director Baz Luhrmann and starring Leonardo DiCaprio, Carey Mulligan and Tobey Maguire. The Great Gatsby makes this list for the second year running following a series of delays, with a May release date now having been set. The official word is that the shift in schedule is merely a tactic to maximise profits, but delays plus pre-summer release suggests the studio does not have high hopes for this film come awards season. Luhrmann has taken a bold approach to this hugely anticipated adaption, juxtaposing the novel's old fashioned setting with rather more modern sensibilities. One wonders whether the themes of the novel will still resonate as strongly. 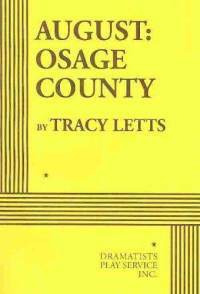 An adaption of Tracy Letts' 2008 Pulitzer winning prize play of the same name, August: Osage County has awards written all over it. The latest tentpole from The Weinstein Company, co-produced by George Clooney, directed by former WGA President John Wells, starring Meryl Streep, Benedict Cumberbatch and Julia Roberts among others; this film is about as packed full of Hollywood royalty as it gets. In particular we are excited to see Cumberbatch get his shot, and with no fewer than six prominent projects on his plate 2013 promises to be a big year for him. No release date has been announced yet, which suggests we'll see it towards the end of the year right when the Oscar season begins. The Ephemeric bets good money that this will be in contention. A little background is required here because there are two films on the horizon about the late Apple CEO. The first which has been in the press a lot lately is the independently produced jOBS, starring Steve Jobs lookalike Ashton Kutcher and being produced by a highly inexperienced crew. Based on early buzz The Ephemeric is betting that this film is not going to be anything worth seeing. 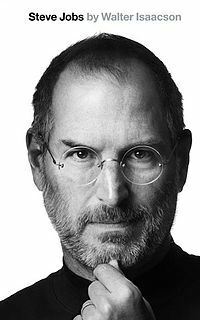 More exciting is Steve Jobs, a studio adaption of the official biography, with a script being penned by none other than Aaron Sorkin. As long time Sorkin fans we can't wait to see what he comes up with. If it's as successful as his last tech pioneer biopic, The Social Network, then we're in for something special. Precious little else is known about the film so far, save that it will unconventionally contain only three scenes, each taking place in realtime, each focused on a key product launch across Jobs' career. Fingers crossed that it does see release in 2013. Now for something a bit different, a change from all the literature and theatre and Oscar bait. The premise of Pacific Rim is simple, but glorious. Monsters vs giant robots. 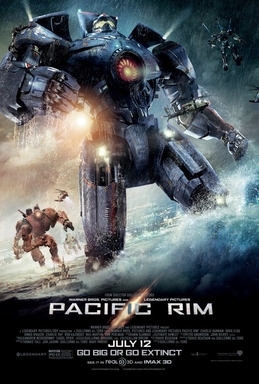 It's a monster movie, usual nonsense, but this time people decide to fight back by building giant robots. So to recap: it's a movie about giant monsters fighting giant robots, and the trailer contains the line "Today we cancel the apocalypse". Go pre-book yourself a ticket, you're welcome. Oh but there's more. It's being directed by Guillermo del Toro, more than just your average action movie director. The Spanish auteur has in the past been known for dark and twisted productions and foreign films. Seeing him take on a picture starring giant robots and monsters should be very interesting indeed. We are very excited about South African director Neill Blomkamp's sophomore feature film following his 2009 debut District 9. Initially coming to prominence as the controversial director of the doomed Halo movie, Blomkamp proved the doubters wrong by showing that smart, engaging sci-fi could be made on a shoestring budget. 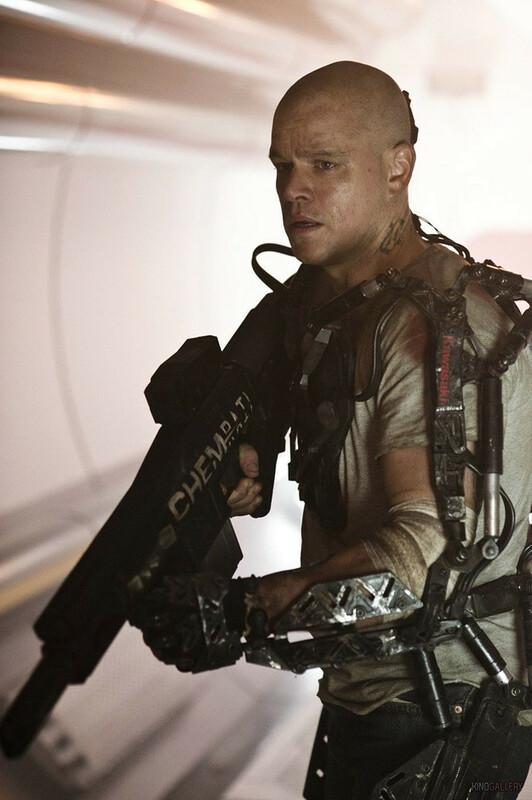 Set amid a similarly dystopian future, Elysium features a cast starring the likes of Matt Damon, Jodie Foster, and Blomkamp regular Sharlto Copley. The talent involved is impressive, and the increased freedom afforded a director with a hit on his resumé should see a project of far greater scope. With four times the budget of District 9 it will be intriguing to see how a director known for blending low-fi realism with seamless CGI adapts. The release date is set at the tail end of the summer now, about what you'd expect for a summer tentpole that aspires to be slightly more than just a vehicle for selling popcorn. No list of upcoming films would be complete without the latest project from the Coen brothers. 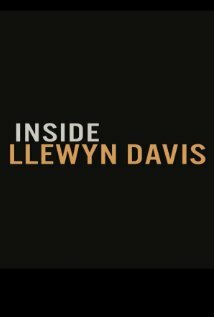 Loosely based off the posthumous memoirs of folk singer Dave van Ronk, Inside Llewyn Davis sees the Coen brothers return to a familiar 1960s setting amid the New York folk music scene. The cast stars Oscar Isaac as the eponymous folk singer, the always excellent Carey Mulligan and the surprisingly not terrible Justin Timberlake, whose acting star seems to be on the rise following his excellent turn in the Social Network. It's quintessential Coen Brothers fare that should see an hour or two of off-beat dramedy, and likely a best screenplay nomination. As yet no release date has been announced, but it is anticipated to arrive on screens some time in late 2013. 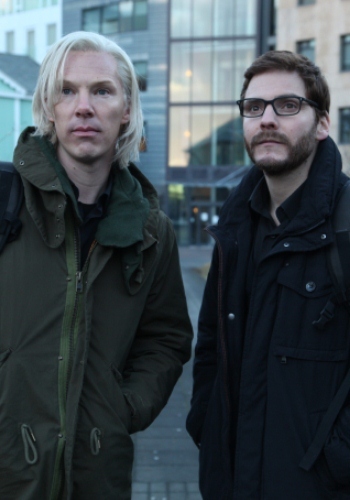 One film that is sure to make headlines in 2013, The Fifth Estate tells the story of Wikileaks and in particular Julian Assange. It was inevitable that someone would do it, and it will star none other than rising star Benedict Cumberbatch as the Wikileaks editor-in-chief Julian Assange. 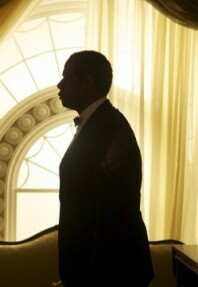 Add that it's being directed by Oscar winner Bill Condon and you have a recipe for quite an intriguing picture. Sure to cause controversy upon release, Assange himself has had a sneak peek at the script and described the film as a hit piece on his ethics and the early days of his organisation. Either way this will be an important film to catch when it hits cinemas, and a late release date of 15th November suggests optimism and ambition from Dreamworks Studios. Another hot tip from The Weinstein Company, The Butler is loosely based on the true story of Eugene Allen who served eight Presidents as the White House butler until his retirement. The film stars Oscar winner Forest Whitaker, and the star studded cast includes the likes of Robin Williams, Alan Rickman, John Cusack, Melissa Leo and many more big names. So to recap we have a very awards friendly premise, a studio known for winning Oscars, and a star studded cast full of former Oscar winners and nominees. This comes as a very safe bet to be in contention for the big prizes upon release. So far this release date has not been announced, but it is anticipated to his screens late 2013 just in time for the frenzy of awards season. The legendary comedy triumvirate of Simon Pegg, Nick Frost and director Edgar Wright return to complete the Three Flavours Cornetto Trilogy, following on from Shaun of the Dead and Hot Fuzz. 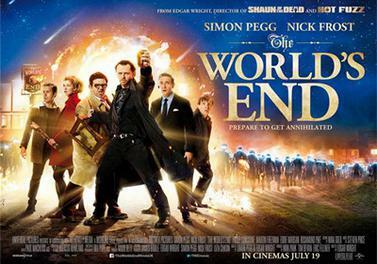 The concluding film in the series, The World's End, follows five childhood friends reuniting to go on an epic pub crawl. In a similar style to the previous two films in the trilogy not all is as it seems, and quickly the mundane setting will become quite surreal. If you enjoyed Shaun of the Dead and Hot Fuzz, then chances are you'll be quite excited about this. The release is set for the end of the summer this year, it should be quite a show. 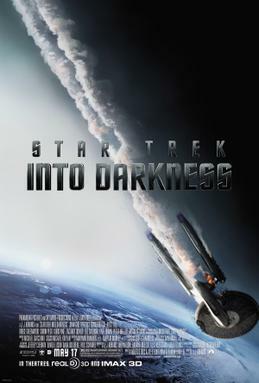 J.J. Abrams' Star Trek reboot four years ago was a great success; the highest grossing Star Trek film of all time, the most critically well received, and the first Star Trek film to win an Oscar. It is only natural, if a bit belated, that sequel is in the works, and ready to hit screens in 2013. In addition to Abrams directing again, the same cast returns of Chris Pine, Zachary Quinto, Karl Urban, Simon Pegg, and this time joined by Benedict Cumberbatch (yes, him again) as the villain. With everything that made the last film so great still in place, there's no reason to think that this won't be even better. We'll be able to see for ourselves this May when the film hits the big screen. Another familiar face from last year's list, Gravity sadly never saw release in 2012 but it's still coming, and it still sounds great. This is of course the new, mysterious project from director Alfonso Cuarón, whose last film Children of Men is generally considered by critics to be one of the finest of the 2000s. 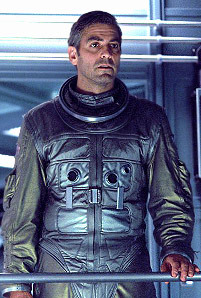 It stars Oscar winners George Clooney and Sandra Bullock and tells the story of surviving astronauts marooned on a damaged space station after an accident. Buzz is quite high for this one despite the prolonged development cycle, and the talent involved is considerable. Gravity comes to the cinemas this October, it's definitely one to keep an eye on. Now we're onto some real heavy hitters. 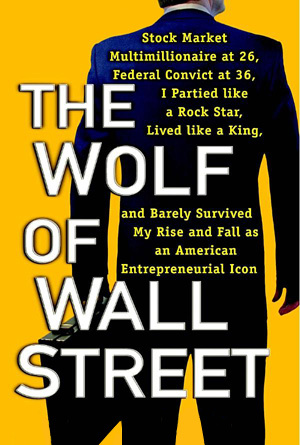 The Wolf of Wall Street is based on the memoirs of Wall Street fraudster Jordan Belfort and is practically bursting with Hollywood credentials. The legendary Martin Scorsese directs, and marks a fourth collaboration with Leonardo DiCaprio who stars as Belfort himself. The rest of the cast excitingly features Jean Dujardin in his first big Hollywood role since his breakout Oscar winning performance in the Artist, along with Kyle Chandler and Jonah Hill among others. Excellent cast, great director, and a very poignant subject matter that also happens to be one of Hollywood's favourites, this could be special. The release date has not been set yet, but should expect this in the tail end of the year. Here we have quite an exciting landmark in film. 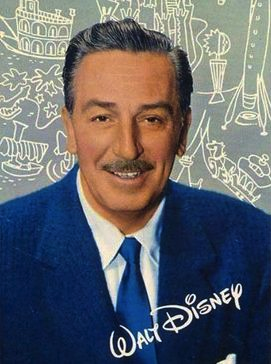 Tom Hanks will become the first person to play Walt Disney on screen in Saving Mr. Banks, which follows the travails of the legendary filmmaker during the production of Mary Poppins. The rest of the cast is no less impressive, with Emma Thompson, Colin Farrell and Paul Giamatti on board. Directing the picture meanwhile is John Lee Hancock, a man with a few solid Oscar flirting films under his belt. This could be his year to finally take the big prize. The release date says it all here. A holiday season release for this kind of film indicates someone is shooting for Oscar gold. 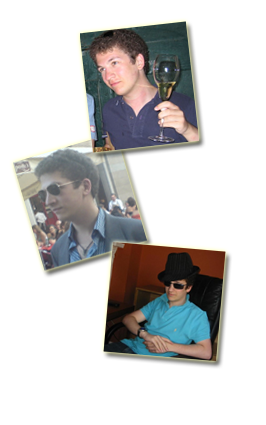 With the quality attached it may well succeed. Next up we have a film that is of particular interest to us here at The Ephemeric. Danny Boyle is hands down one of our favourite directors, with such films to his name as Slumdog Millionaire, 28 Days Later, Trainspotting, 127 Hours and many others, not to mention his stunning Olympic ceremony and superb theatre productions; anything he touches turns to gold. 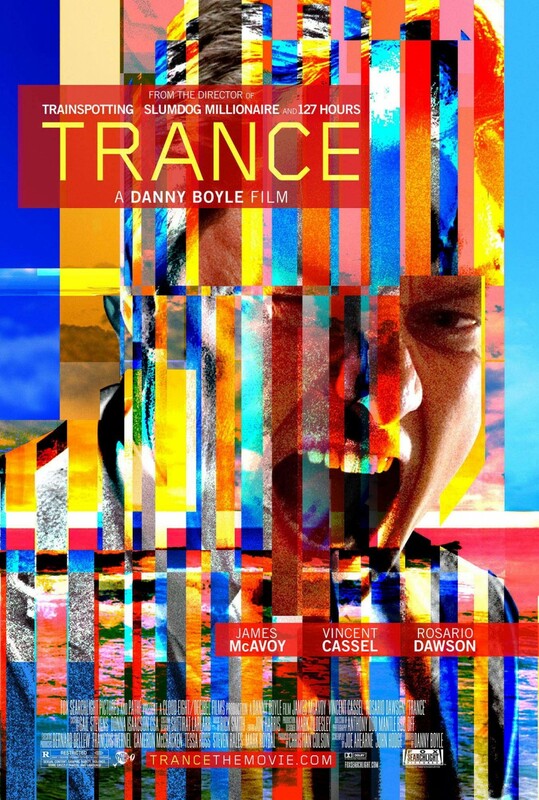 Trance tells the story of an art auctioneer who gets mixed up with a criminal syndicate and undergoes hypnotherapy in order to find a specific work of art. His dark secrets start to get the better of him and slowly the line between dream and reality becomes blurred. It sounds like a trippy, Danny Boyle directed version of Inception, and that's no bad thing. Starring the excellent up and coming actor James McAvoy and Rosario Dawson, Trance will see release in March in the UK, and every single detail points towards excellence. So what could possibly beat all these potentially excellent films? Well it would have to be the rebirth of one of The Ephemeric's favourite superheroes. Helmed by the intriguing production team of Zack Snyder directing and Chris Nolan producing, the hype is that Man of Steel will do for Superman what Nolan's Dark Knight trilogy did for Batman. The film stars Henry Cavill as Superman himself, with Amy Adams as Lois Lane and Boardwalk Empire's Michael Shannon as bad guy Zod, while Russell Crowe and Kevin Costner also feature. The early trailers look frankly phenomenal, but we will have to wait until the mid summer blockbuster season to see the results for ourselves. So there you have it folks: 2013 in movies. Tune in next week to find out what's new and exciting on TV this year!